Your Training Record Problems Solved! As part of the job, first responders are required to perform many dangerous and high-risk tasks that—due to rapidly changing conditions, public needs, and budget cuts—are creating a demand for new and different training options. 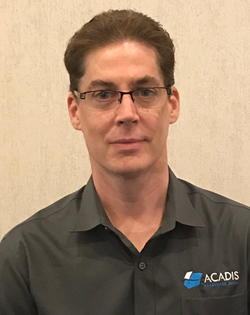 The vast majority of training within the fire service, law enforcement, and EMS is skills-based, and advances in technology seem poised to reduce the time first responders spend in a classroom. 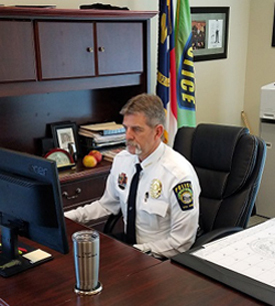 Chief Tim Ledford of the Mint Hill Police Department in North Carolina is using FirstForward PRO, a software program that allows him to call up all the online training offered everywhere in the United States. Ledford says the technology is providing value to his officers and most importantly will make make them safer. He’s also using FirstForward to digitize his department’s procedures and policies. Numerous eLearning providers have cropped up over the years with the promise of reducing training costs for these “hands-on” professions. Their business model was simple: create a catalog of video-based lectures and sell them to individual firefighters and police officers for an annual subscription fee ranging from $40-$100 per person. Unfortunately, there are several problems with that approach. Chief amongst these is a lack of quality control over the content that is being sold, since these vendors have no incentive to ensure a high level of instructional integrity. Training records, which prove that law enforcement officers are meeting state-mandated in-service training requirements, are often fragmented across multiple systems. Once a department contracts with a vendor, their records become locked within that vendor’s Learning Management System (LMS) making it very difficult—if not impossible—to move records to a new system. If, for example, an officer moved from a department that used a specific vendor’s LMS, access to his or her records would more often than not be lost. The profession needed a radical redesign of how training validation, sourcing, tracking, and delivery – one that could solve the endemic problems with the old training delivery model. Just as iTunes revolutionized music distribution, we envisioned a free platform that would ensure our police, firefighters, and EMTs have convenient access to the largest and most comprehensive selection of quality training currently available. We also wanted to make it easy to aggregate the multitude of free training programs to give small departments with limited budgets access to quality training opportunities. Therefore, in 2015, Envisage Technologies launched FirstForward, the nation’s first professional training network specific to first responders. To show our commitment to providing quality training to all of our nation’s law enforcement officers, those individuals pay no charge for this service. To date, over 3,000 departments have signed up for access, taking advantage of hundreds of training opportunities available from over 90 training providers. Our focus on aggregating and offering the highest quality training for law enforcement led to a collaboration with the International Association of Directors of Law Enforcement Standards and Training (IADLEST), and the subsequent selection of FirstForward as the major delivery source for IADLEST’s National Certification Program (NCP) course offerings. FirstForward founder and CEO Ari Vidali is proud his company has developed such a useful and needed solution to keep track of all the training programs officer attend. The NCP has quickly become the benchmark for law enforcement training quality standards, and NCP certified courses are currently accepted in 35 states for in-service credit. Nonetheless, we still needed to solve the problem of training records portability. Regardless of which agency or state an officer transfers to, they should be able to have possession of their personal training records, and be able to share them with their current department. And we did it. 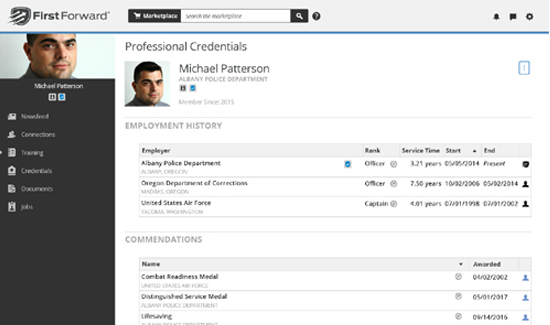 FirstForward provides a portable training record, which maintains each officer’s career training record. As with other features of FirstForward, this service is included at no cost to individual officers or their departments. FirstForward’s compatibility with 22 State POST systems ensures that training taken with FirstForward is filed automatically with the participating POST organization. FirstForward has grown to include numerous premium services as well. For a small subscription fee, departments and officers can utilize FirstForward PRO, which provides access to additional features such as document and certification FirstForward provides and supports lifelong learning that ensures that our law enforcement personnel are well trained, ready to handle the stresses of the profession, and most importantly, reach a well-deserved retirement. Chief Tim Ledford of the Mint Hill Police Department in North Carolina is using FirstForward PRO. The program, he says, allows him to easily search nationwide for online training and having access to that information and resources he believes will make officers safer. Mint Hill Police Department will also be using the performance report capabilities in FirstForward. Chief Ledford is looking forward to the productive conversations made possible by preparing the reports online and allowing officers to review them prior to the actual in-person review. The Chief explains that digital record keeping is sensible from a cost-savings perspective, and he is always looking for smart ways to spend the money provided by taxpayers in order to save his community money. Not only is Mint Hill saving money on tangible items such as paper, ink, and filing cabinets, but the efficiencies provided by FirstForward result in additional cost-savings by reducing the number of personnel hours involved in researching and finding records. The private course catalog and document management tools also allow him to save on money normally spent on overtime. He no longer has to ask officers to come into work on their non-duty days to take training or review policies; instead, they are able to train and review documents online. He is excited to be using a tool that will enhance the safety of his officers and his community, while providing cost-savings to the department. VIDEO: Body Cams Unfair to Cops?